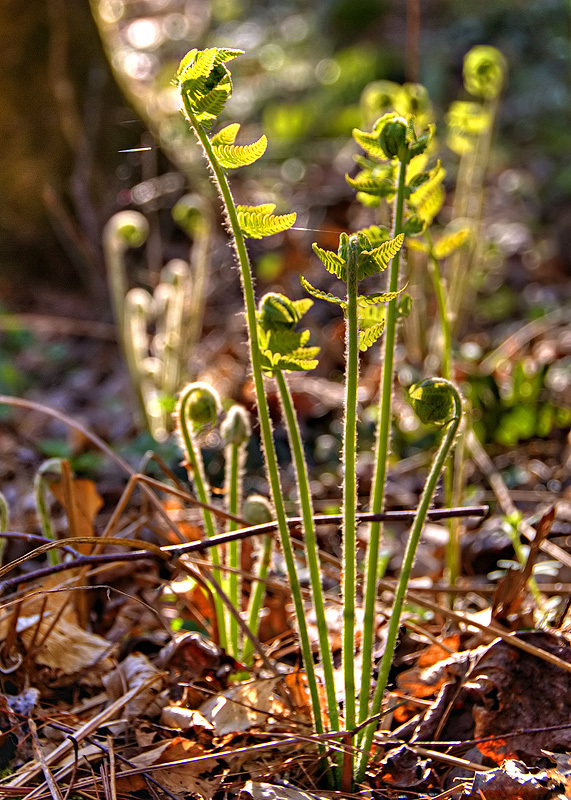 I was hoping to get back to the nearby meadow where Christmas Fern , Cinnamon Fern, Interrupted Fern (pictured here), Northern Maidenhair Fern and Wood Fern all grow together. But it’s blustery, and for such tall, frail plants, they will be all in a whirl of motion. So perhaps I’ve done all I’m going to do pteridologically for this season. Or maybe not. I’ll try in the next few days to go back and do some ‘splainin’ about the odd fern structure in this recent post. While Ferns and their kin are a relatively minor part of the vegetation in most of the southern Appalachians, there are glades where fernsare the dominant understory. And on our one visit to Vancouver a few years ago in May, fernsstood leaf to blade and six feet tall, acre after acre. And of course if you go back in history far enough, the fernsand their kin were the dominant land plants, some sixty feet tall and a foot or more in diameter! Vancouver, acres and acres of 6 foot tall plants… ya sure they were ferns? Duh. Yup. We have ferns taller than 4 feet in these parts, but everything in the Pacific Northwest looks like the rain is 50% MiracleGrow. I’ve never seen anything like the size there for familiar plants that also grow here (like rhododendrons where single flowers were the size of flower clusters in VA.
i’ll stand by for that ‘splaining….. Previous Previous post: Eco-ethical Decisions | Species Extinction or Oil?